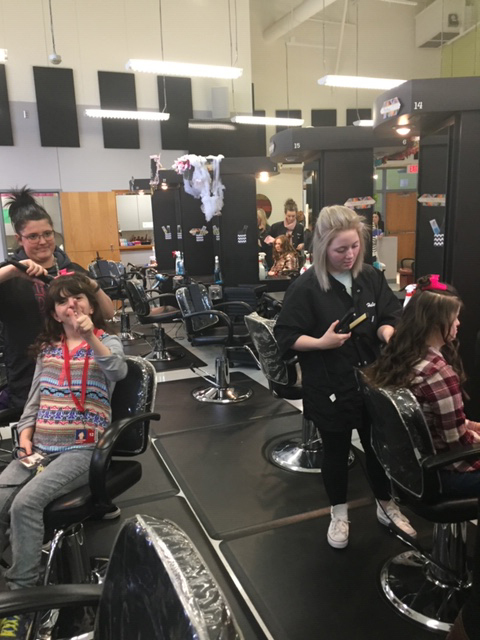 “Night to Shine” in BISD | Birdville ISD Blog! BISD had a great turn out for “Night To Shine.” Everyone had a great time and the students were treated like kings and queens. The Tim Tebow Foundation has a great passion for people with special needs and in 2014 launched “Night to Shine.” The vision was simple … work with churches around the country to provide an unforgettable prom night experience for people with special needs, ages 14 and older. BISD staff from three different schools helped make this night special for our students. Also pictured are cosmetology students from the Birdville Center of Technology and Advanced Learning (BCTAL) doing the hair and nails for the special guests. The floral design students at the BCTAL also made boutonnieres and corsages for the students.